Niski Szum appears to be a new project dedicated to guitar and vocal by Polish musician Marcin Dymiter. Songs from the Woods, the debut album, is a short and very sweet – sweet as in small scale and intimate, not sweet as in saccharine – recording at just under 40 minutes. Guitar tones are wistful and melancholy, their bell-like sounds reverberating through your soul for several minutes after the strings have gone onto the next melody. A dark space, brooding perhaps but never overbearing or sinister, exists in the background as a matter of course. “Blues from the Green Hills” sets the standard for the album: introspective, intimate, perhaps nostalgic for long-gone places and people, yet full of surprises like full-on electric-guitar howling drones with roughened edges. “The Woods, Part 1” is a quiet, dreamy piece with soft vocals and mysterious little effects sounding off in the backgound. A melodic lead guitar, plaintive and soulful, dominates when the singing ceases. The stand-out song is surely “The River (for Ota Pavel)” which incorporates Dymiter’s more electronic, experimental side and features long improvised guitar drones with a roughened edge and high-pitched keening sighs. This is one track you wish would just continue on and on … it has a creepy, spacey feel as it continues on and the guitar drone starts to wobble … other drones spiral about and add a seesawing feel to the track as the main drone starts to surge forwards, penetrating ever further into the deepest recesses of the cosmos. Very trancey and hypnotic. 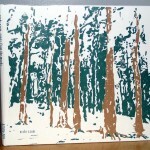 The album finishes with “The Woods, Part 2”, more assured than its shy sibling but still self-absorbed. Listeners not familiar with Marcin Dymiter’s work would do well to start here and then work back into his recordings of electronic music and found sounds. 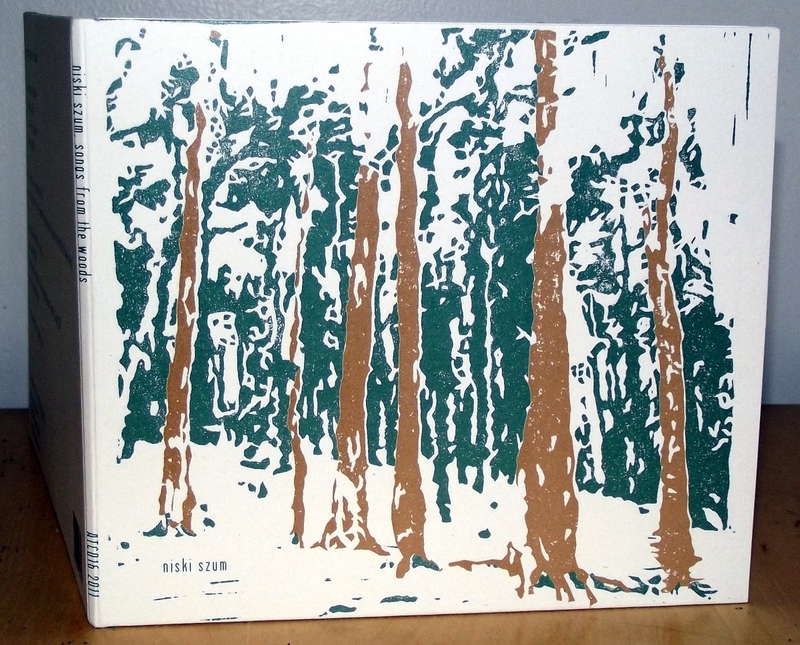 Songs from the Woods is an unassuming yet lovely work in its almost weeping sounds, its amazingly sharp and abrasive drones and its lonely atmosphere that suggests Dymiter is looking for a good home. Anyone willing to provide one?